Astrid Kirchherr is best known to many as the first professional photographer to photograph the Beatles in Hamburg in 1960 and 1961, and as the fiancée of Stuart Sutcliffe, the original bass player in the Beatles. 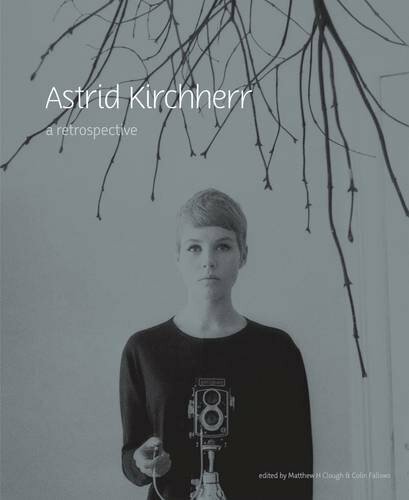 Less well-known are her other photographs, and Astrid Kirchherr: A Retrospective seeks to place Kirchherr's photography in a wider context. The book charts her life as an art student in Hamburg through new interviews with Kirchherr and the people who knew her personally at that time. Klaus Voormann, Kirchherr's close friend at art college, provides unique insight into their life in the city in the late 1950s, with fascinating details of the time and place. Further detail is provided by Gibson Kemp, Kirchherr's ex-husband, and Ulf Kruger, her close friend and manager. It was in a studio created in Kirchherr's mother's attic that Stuart Sutcliffe made his famous Hamburg series of abstract expressionist canvases—and where historic photographs of the Beatles were made. The editors, working closely with Kirchherr, have unparalleled access to her photographic archives, and the essays are complemented with a wealth of black-and-white and color plates of key photographs, and by numerous additional images of Kirchherr and her contemporaries, including the Beatles. Many of these photos are previously unpublished and many more appear here for the first time uncropped.